Is community really that important? Is community really that important? Yes. You should check out my post that I wrote about businesses and collaborations and why they’re super important. This article follows the same vein: community will skyrocket your success (whatever your definition). You don’t think anybody really got to the top all by themselves, do you? And you know what? Even if they did, I bet it was really bloody lonely. You don’t want to be alone in your victory. 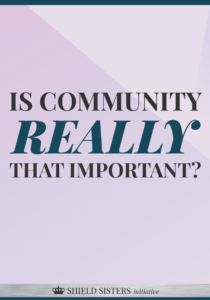 So why is community so important? Community can be the pillars, or the support, behind your success. It’s also important to note that community isn’t just made up of your peers (although that’s what we’re talking about mostly today); it’s also the people who look up to you and respect you and eventually, purchase your products. 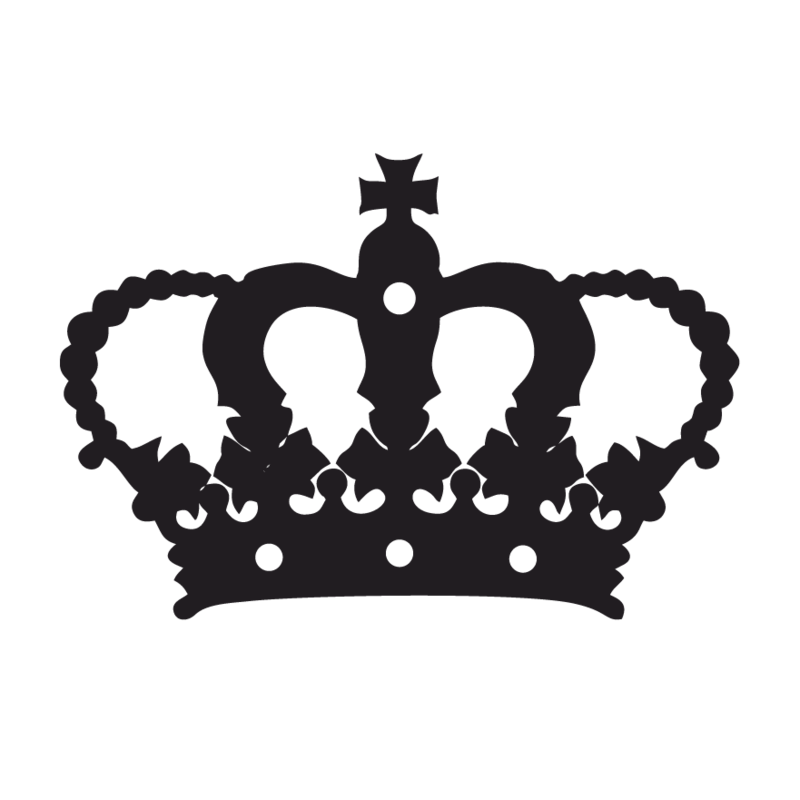 Have you ever been in a Facebook group or a blogging crew that felt incredibly cliquey? You couldn’t get a word in edgewise because everyone already knew everyone else and didn’t care one bit what you had to say because they felt like they already knew it all? Or perhaps they already felt like they didn’t need anyone else and you were just an extra body, taking up valuable space? Ugh. I have too. Here’s the thing: when you create community for YOURSELF, you create opportunities automatically. Connect with the bloggers you like. If they aren’t what you thought they’d be, move on. There’s no need to force a connection that clearly isn’t meant to be. When you craft community for yourself, the opportunities start presenting themselves when you least expect it. Friends of friends start popping up all over the place and throwing ideas your direction. “Would you like to collaborate with me on this?” “Will you cohost my webinar?” People start pitching things to you. In addition to this, there comes a plethora of opportunities for you to pitch someone else. If you don’t ever pitch, you won’t ever know. And if you don’t ever know, you won’t ever grow. Does that make sense? Opportunities only arise when you make the effort to create them. And creating intentional community creates those opportunities. Have you ever had a friend call you every day to make sure you worked out? Yes? Me too. That’s called an accountability partner. With friends like that in your life, you’re sure to reach your goals, or at least make progress toward them. Community in and of itself is accountability since those that you tend to chill with have similar goals, ideas, dreams, and drive. When you see your friend, partner, blogging buddy, or biz bestie pushing herself to the max trying to get out there and reach her dreams in a cloud of dust, don’t you feel encouraged? 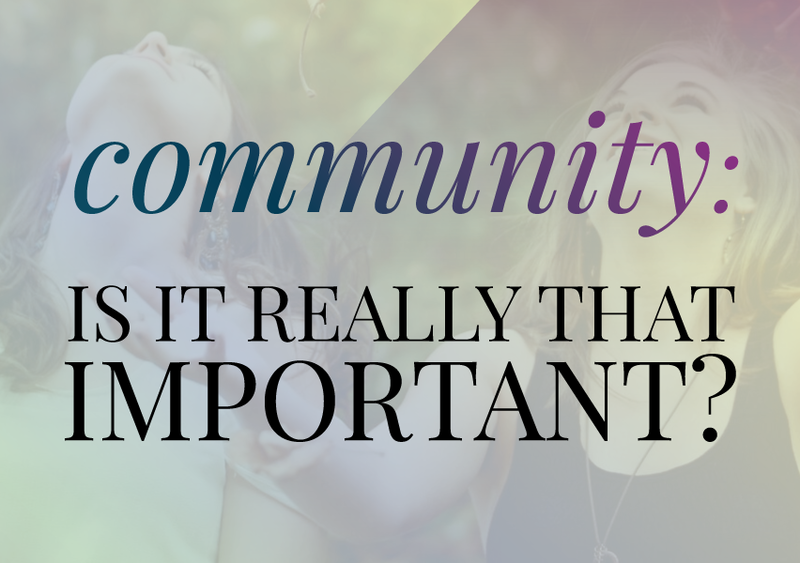 It should be noted that your community, because you’re being intentional about it, will be what you make it. If you choose to surround yourself by lackluster bloggers who blog maybe once a month, if that, and have no drive to accomplish their goals… You won’t get very far. I’m sad to say that the majority of bloggers out there don’t blog to create a stream of steady income, reach goals, or care about anything besides how many likes and comments they get. I know you’re different. You’re driven, creative, professional, excited about life and your goals, and you’ll pursue anything you have to in order to make your dreams happen. Whether it’s to be a stay at home mom with a full-time income, a small shop owner with a full-time job, a side hustler, or a full-time business owner whose project is her baby, your goals are your future. You intend to reach them. If that sounds like you, don’t miss out on our membership program, Uplevel Your Sisterhood. We take sisterhood to a new level with accountability, masterclasses and more! Community is very important. As a Life coach, I find that many women in upper level positions are lonely. They don’t have that girlfriend/colleague in their company they can go have coffee and discuss the day. Community is a form of self-care! Exactly!! It is so hard for women to find that group when they are in an upper level or abnormal position.